Classic Garden Elements is the leading European manufacturer of traditional climbing structures & versailles planters made of steel for parks, gardens and private terraces. 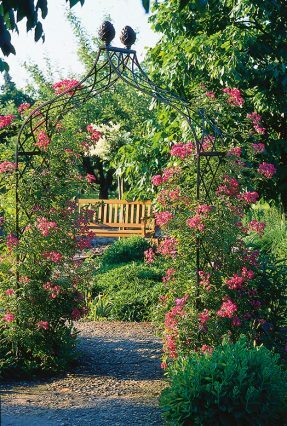 Their product range includes by now garden obelisks, pyramids, rose pillars, garden pillars, rose arches, tunnels, garden archways, trellises, perspective treillages, wall trellises, rose umbrellas, pergolas, pergolas, modular trellises, arbours, pavilions, plant supports, rose supports and versailles planters. An Etruscan pine cone from the Vatican Museum in Rome became the hallmark of this family run Germany based company. It echoes nature’s beauty and harmony. The first two garden obelisks and a Victorian Rose Arbour, all topped with that “Etruscan” pine cone finial, secured the immediate attention of garden professionals at international garden fairs. 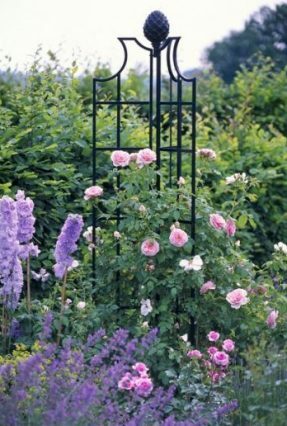 In 2002 Classic Garden Elements made their first appearance at the Chelsea Flower Show when leading Rose Nursery, Peter Beales Roses, decorated their stand exclusively with their structures. Even today their simply named “Obelisk I” and “Obelisk II” garden obelisks are bestsellers in Europe, USA and Japan. In the meanwhile, more than 80 top quality trellises with an English inspired design are manufactured in their own factory in Slovakia. 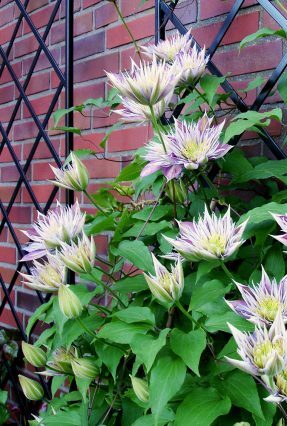 Many Classic Garden plant supports were modelled after existing traditional trellises discovered in historical gardens, parks and antique garden books. No wonder they exude an air of nostalgia and romance. They also beautifully accentuate contemporary gardens. 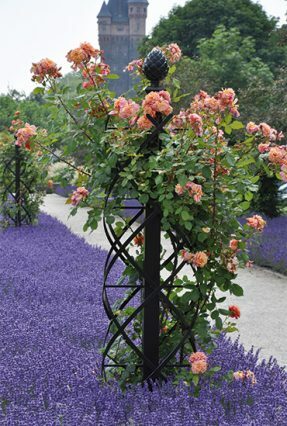 Everything for the rose, the queen of flowers, is the philosophy of Classic Garden Elements. 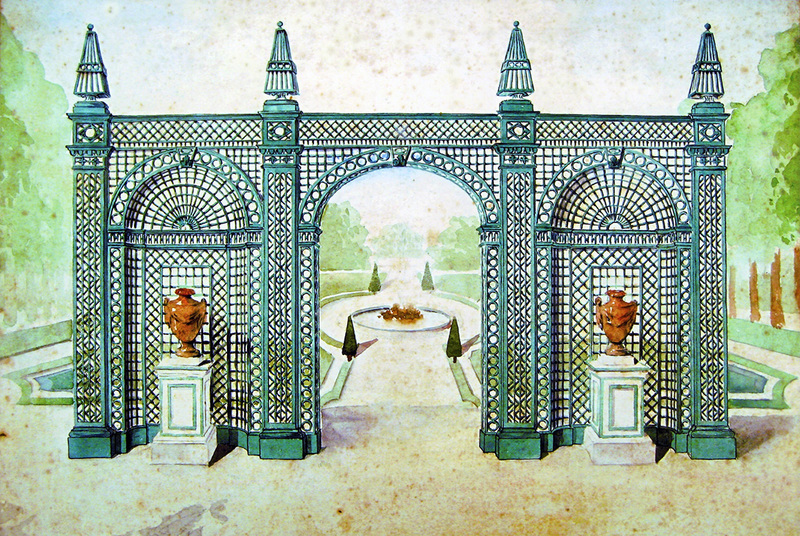 Their range of three-dimensional trellises varies from columns, pillars, garden obelisks, pyramids, arches, arbours, pergolas and gazebos to fine, elegant trellis works, including perspective trompe-l’oeil structures. All trellises are made of welded heavy-gauge steel bands and steel pipes, hot-dip galvanized and powder coated. All Classic Garden Elements are guaranteed to be fully weather-related rust proof for 10 years. Apart from the aesthetics Classic Garden Elements attaches great importance to practical gardening use. In this field Classic Garden Elements receives valuable suggestions from their customers. In addition they rely on the vast experience garnered from their long-term co-operation with the most important European rose nurseries. Their elements are not just decorative, but also extremely solid and stable. We wish you much enjoyment looking through our website and hope it will be able to inspire you with many new ideas for your very own dream garden.